The Danny's World Rollator is a great walking aid! Easy to use brakes help maintain control as you walk. The basket is removable. It can be placed up front for shopping or below the seat to store your belongings. 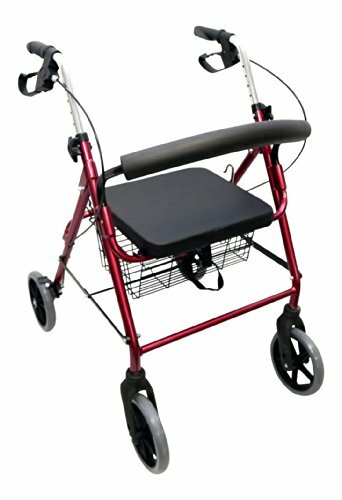 The rollator can also be used as a seat, and the backrest is removable. It also folds for easy storage. Comes in Burgundy or Gray! Easily folds for storage and transport. Comes in Burgundy or Gray. Removable basket can be put in front or under seat.